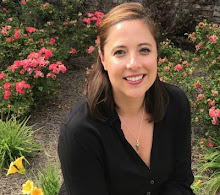 Alecia Simersky: Is it Holy to be Happy? 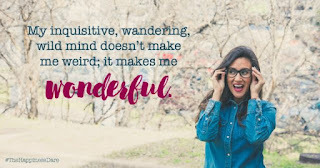 Is it Holy to be Happy? 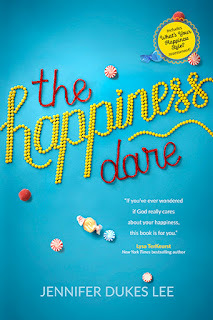 I just finished up my last summer reading book, The Happiness Dare by Jennifer Dukes Lee. God doesn't care about your happiness only your holiness. 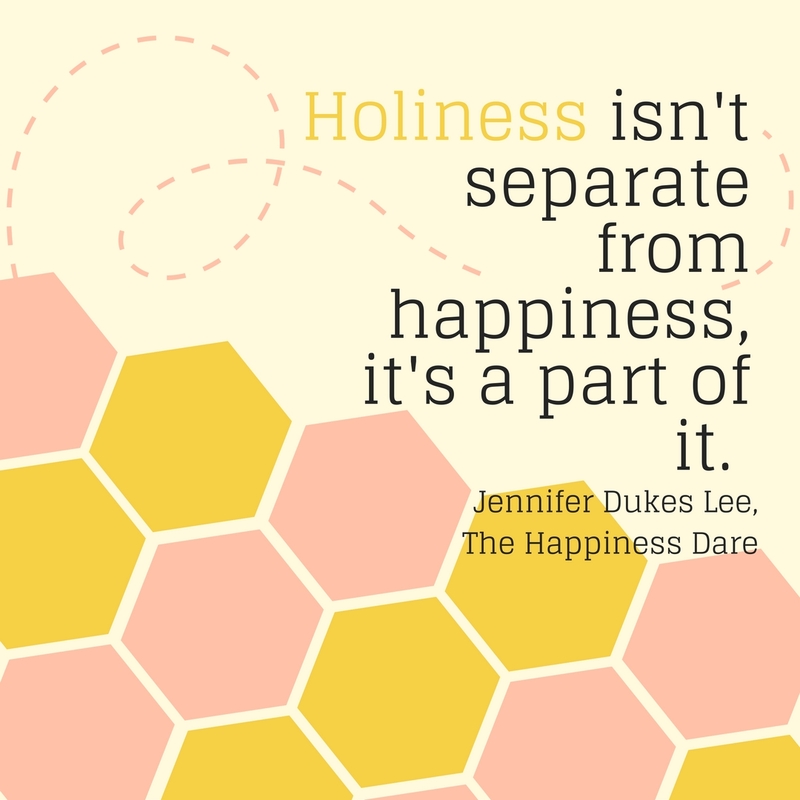 But, Jennifer takes a different viewpoint and asks us to stop choosing between holiness and happiness. We can have both, and I like that! Do you ever feel guilty for saying, "I just want to be happy!" or when you find yourself in a happy moment chastise yourself for feeling happy and tell yourself to tone it down? Like, Jennifer, I've gone through periods in life when I thought, "I'm not happy, but I guess that's ok, at least I'm holy and that's all God cares about anyways." Somewhere along the way I figured God doesn't really care about my happiness, as long as I'm holy and joyful, I'm okay. 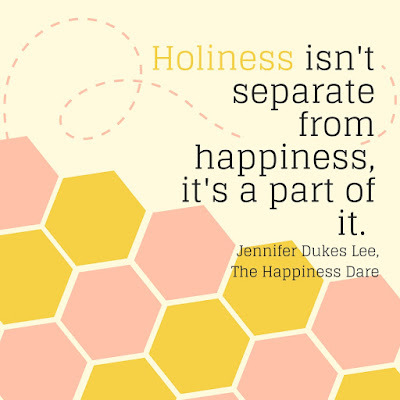 "Holiness isn't separate from happiness. It's a part of it." 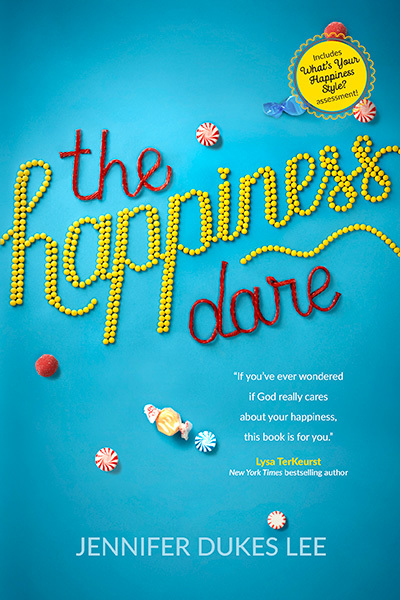 I liked that the book wasn't all rainbows and sunshine, sure, it's nice to be happy, but let's be real. Life is NOT always sunny. And I appreciated that she wrote, "Happy people cry. Happy people are familiar with the feel of thunderclouds building up on their insides. Happy people are the people who know it's a waste of effort to show up somewhere with the plastered-on Sunday smile." I feel like I was not only given permission to be genuinely happy, but to also feel the gray clouds when they come rolling in as well. Happy and holy are compadres. It's time to reclaim our happy and stop denying that we want to be happy! It's how we were created. And check this out, Jennifer created a Happiness Style Assessment, find out what makes you happy...for Free! I discovered I'm a thinker and experiencer. When I'm thinking and experiencing this makes me the happiest. I hope you will check Jennifer Dukes Lee latest release, I think you'll be as inspired as I was. "Happiness isn't a destination. 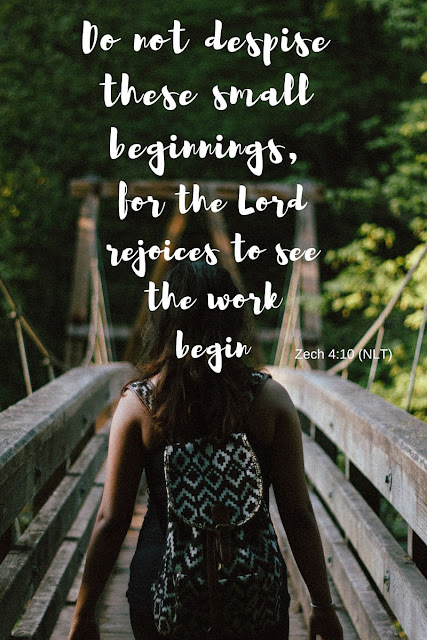 It's a journey. And sometimes the journey is hard. Sometimes the journey looks intimidating and downright impossible."